These projector headlights for the 2005-2007 Dodge Dakota provide an intensely concentrated light beam with a innovative & unique design that customize your vehicle, for only the fraction of the cost of OEM Headlights. The Headlights are securely mounted using the original screws & nuts of the OEM parts. If you are unsure about installing automotive accessories by yourself we recommend consulting a body shop. You may also upgrade the light bulbs to High Intensity Discharge (HID). 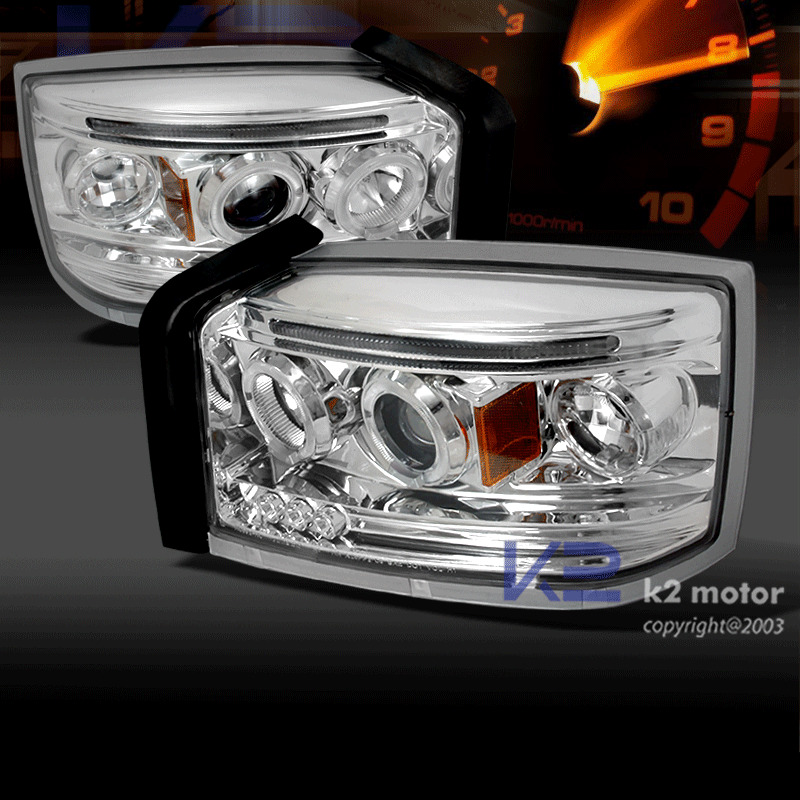 The 2005-2007 Dodge Dakota projector headlights acomes with dual halo (angel eyes) rings and the bold eyebrow that lights up. The LED at the lower inner corners completes the nice nightly display of lights. That is something that the stock Dakota factory light do not offer. 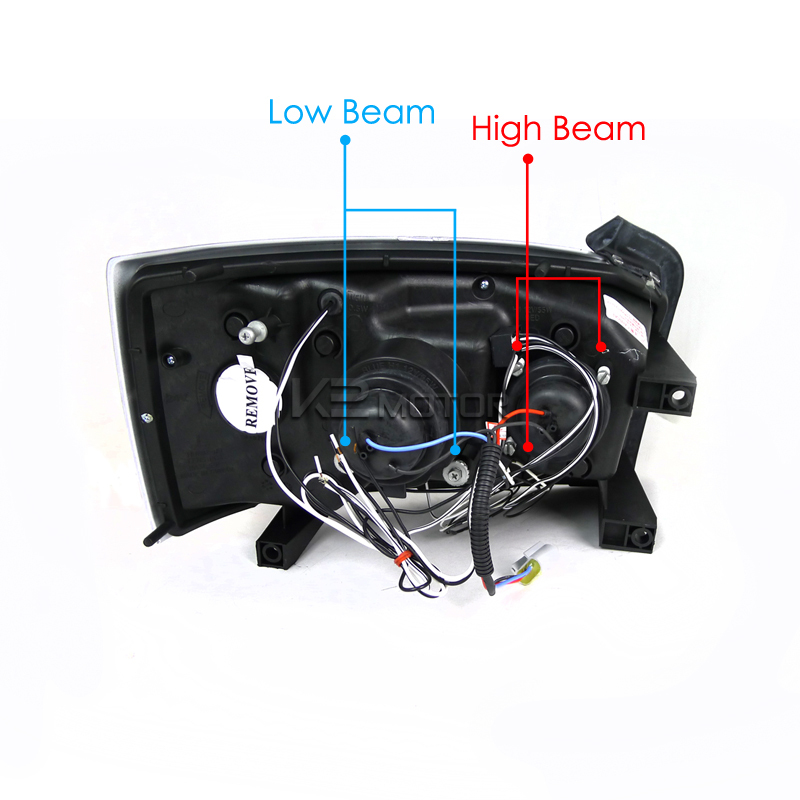 Furthermore, the projector headlights cost only a fraction on what the factory lights cost; making your purchase cost cheap with high quality. That's not the end of these headlights, the lights are also made with halo (angel eyes) rings, eyebrows, and LEDs. 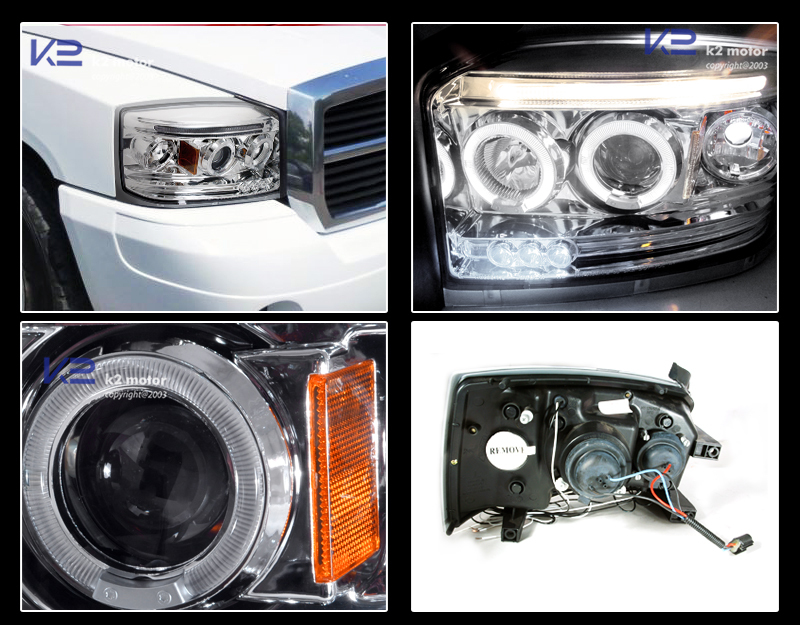 That way, you can have the most latest in projector headlight style. Get your bold front end look now.